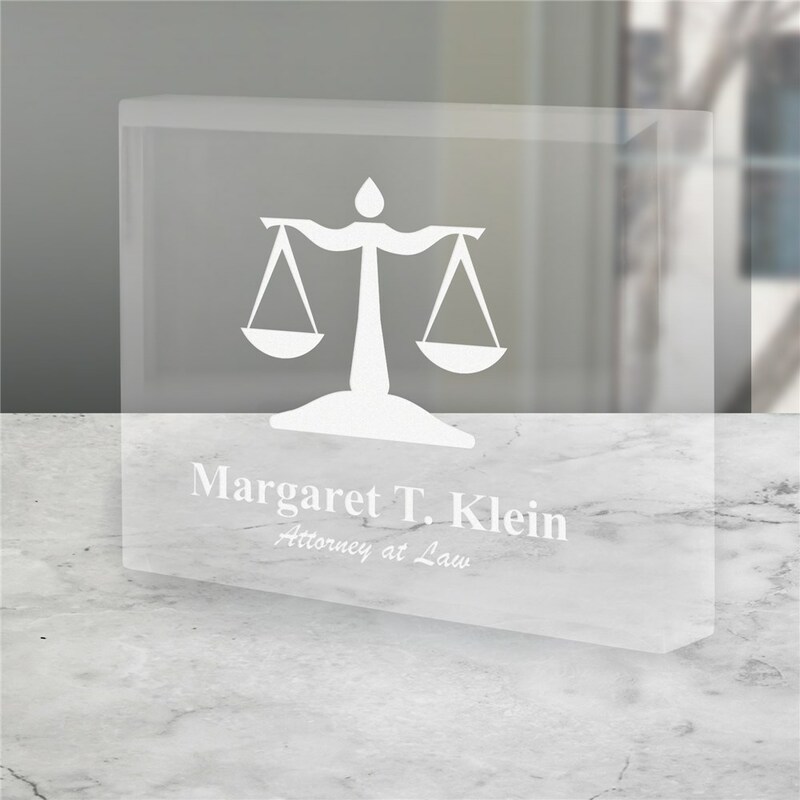 Your lawyer will appreciate a handsome keepsake like this as it's personalized with his or her name. Looks great and is functional too - display with other achievements or use as a paperweight for all of the new legal paperwork they'll be evaluating. It is a great way to honor them and their hard work or congratulate them for graduating law school. Take a look at all of our personalized gifts for professionals to find just the right way to say Thank You or even Congratulations! And if you're planning a graduation party, have a look at our great gifts for grads, too!